Sefton’s business clinics are taking place every Tuesday at The Atkinson, Southport from 10am-1pm. They are a chance to meet movers and shakers in the world of business to ask any burning questions and gain insights to help you start up your business or take it to the next level. Officially opened by Cllr. Marion Atkinson, Sefton Council’s Labour Cabinet Member for Regeneration and Skills on September 18, the clinics are Organised by Invest Sefton, Sefton Council’s enterprise, business support and inward investment service. Sessions cover all business themes, from accessing funding to starting your business to employing the right people to make it a success and everything in between. Cllr Marion Atkinson said: “Business is the lifeblood of our borough and we make the point that we are very much open for business. More than ever we need budding entrepreneurs to be bold and make the next step, creating jobs and opportunities for local residents and those across the Liverpool City Region. 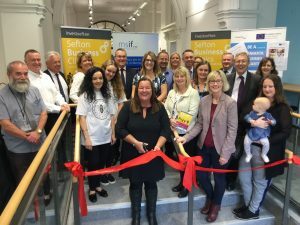 If you cannot make it to a business clinic, the friendly team at Invest Sefton are on hand all year round to offer advice and support to help your business grow. Contact them on 0151 934 3452, by email or visit their website. A special event is taking place in Sefton to encourage local residents to try something different and learn new skills while having fun. Sefton’s Festival of Learning Summer Fair takes place Saturday June 16, 12-4pm at Sefton Community Learning Centre, 53 Cambridge Road, Seaforth. The air will be filled with tantalising smells from festival goers trying their hand at making tapas and other Mediterranean dishes as the more artistic among them give charcoal drawing and water colour painting a go. There will be workshops that everyone can take part in and try something new, with the added bonus of free food for children when they or an adult they attend with complete the workshop. The eclectic mix of fun learning activities will vary wildly, from learning about Viking culture to building bird boxes and much more besides, there will be lots to see and do. The festival will have lots to offer for all ages, whether whizzing around on go karts, tackling the assault course and giant slide or sparking their creative side of little ones with family craft sessions. Visitors will never be short of food or entertainment as local businesses from across Sefton will set up shop on the day. “Learning new skills can be very positive for our happiness and mental well being, as well as equipping us for life in new ways. To find out more about this fantastic event or to book your place, contact Sefton’s Adult Community Learning Service on 0151 934 4546 or visit their website to find out learning opportunities throughout the year. One Vision Housing have completed dementia-friendly refurbishments of three of their Independent Living schemes as part of a £1m plan to make all their schemes more energy efficient and inclusive for people living with dementia. Included in these new developments is Kenyons Lodge in Maghull. The property has been given soft colour schemes, with feature walls, carpets and different wallpaper throughout to make each floor easily identifiable and therefore easier to navigate for those living with memory loss and visual impairments. The residents were consulted throughout the refurbishment, and chose the fabrics and colours to create a sense of well being and luxury within the communal areas. 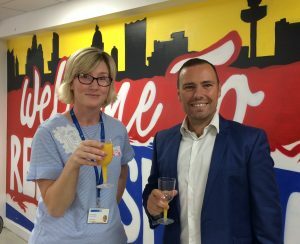 One Vision Housing and Sovini Property Services have been holding afternoon tea events to thank the residents for their patience and cooperation during the refurbishment works.